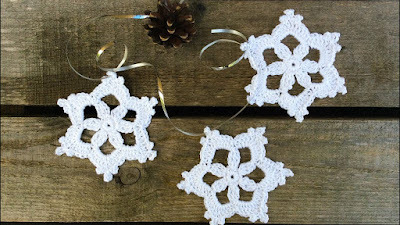 These crocheted snowflakes are easy and very fun to make. There are plenty of ways to use snowflakes in your decorations. 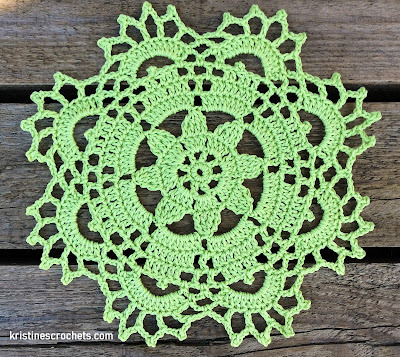 Materials used: 3.0mm crochet hook, sport weight, size 2 cotton yarn. trc3(2)tog - 3(2) treble crochet closed together. Start wit a ch4, sl st. into the first ch to form a ring. Round 1: ch1, 12sc into the ring, sl st. into the first sc. sl st., on top of the trc2tog. sl st. on top of the ch2. ch1, cut off the yarn and weave in the ends. Hello, I have having trouble finding "sport weight, size 2 cotton yarn." Can you send a link where I can purchase? Everything I have found is really fine (small) and my snowflakes end up looking anemic! You can use any yarn/hook combination you prefer.